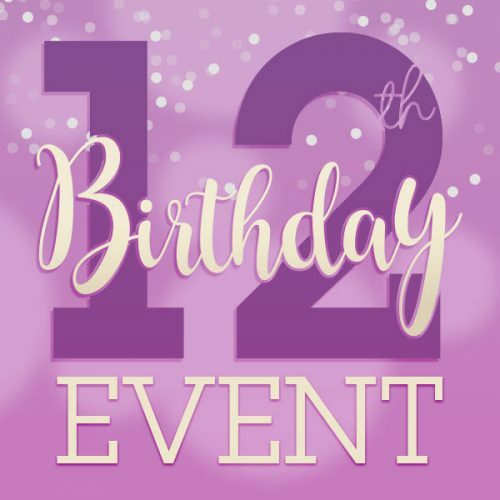 Crafters Companion > Blog > Free gifts explained during our Birthday Event! Free gifts explained during our Birthday Event! What’s a party without an amazing party bag to take home? By party bag…we mean FREE gifts! How exciting?! As usual, during our Birthday Event…every single order placed on our website and in-store will receive a FREE digital download kit jam-packed with exclusively designed papers, toppers and embellishments. That’s not all…our wonderful Sara Davies has designed a stunning ‘Floral Fantasy’ Signature Collection that’ll you’ll be able to collect if you spend over £50 or £100 in one transaction during the event. Spend over £250 (in one transaction) and receive the entire collection! Take a look at what you can receive for each spend! Shop here now! Watch Sara’s video below which explains all of this in great detail. See what our amazing design team created using the elements from the new collection…we’re in awe! Want to join the party? RSVP to our watch party on Facebook here – where you can see exclusive sneak peeks, LIVE behind the scenes videos from the Hochanda studios, win NEW products daily and chat with other purple loving crafters! Want to browse our new launches and see even more great offers….have a look at our Birthday booklet! We want to thank you for the last amazing 12 years…and can’t wait to celebrate the next 12!